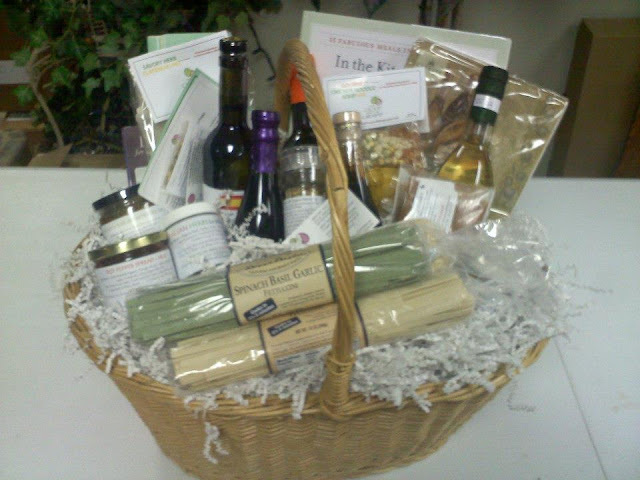 Bits & Pieces: Gift Baskets Extraordinaire! I'm utterly shameless. 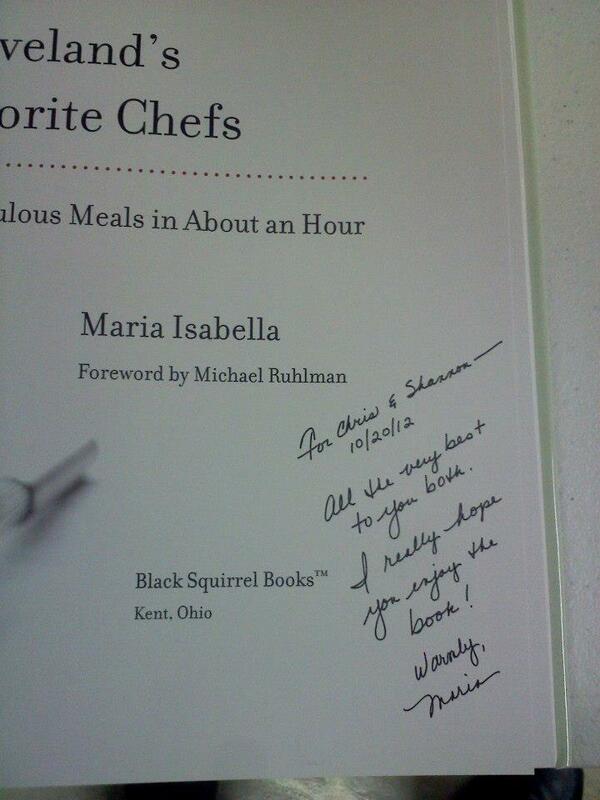 Because I'll be the first to admit my book makes a really great gift. There, I said it. In print, nonetheless. For all to see. But I'm not the only one who thinks so. Many, many people have told me the same thing. They're buying my book for Christmas gifts...for birthday gifts...for anniversary gifts...and for wedding gifts. Speaking of wedding gifts, there was a lovely lady who approached Candice Berthold, owner of The Olive and The Grape. She wanted a very special gift basket made up of unique items to give to her nephew for his wedding. But it couldn't be just any gift basket. It had to be a one-of-a-kind basket with things that no one else would give him. Eureka!, thought Candice, who had just purchased a few cases of my book. Candice put together an amazing arrangement of her specialty olive oils, balsamic vinegars, seasonings, condiments, pasta -- and an autographed copy of my book to the bride and groom. My book is tucked behind the items on the right. The client was super delighted...and a wonderful idea was born! 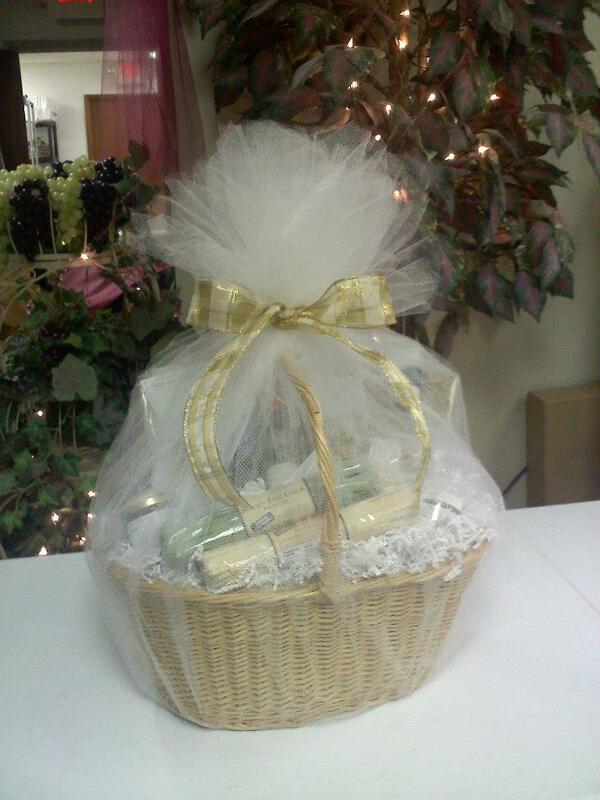 Candice is now taking special orders for custom gift baskets that include my book. Carmella Fragassi of La Campagna in Westlake is doing the same. Oh you know it's going to be on my Christmas list :) hope the author will sign it for me! What a great idea! I'm certainly going to have to get my Christmas list ready so I can get a few of these delicious gift baskets! Join the bandwagon, Tina! I think you'll be in for a great surprise!